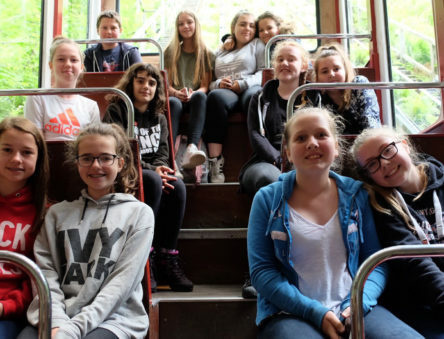 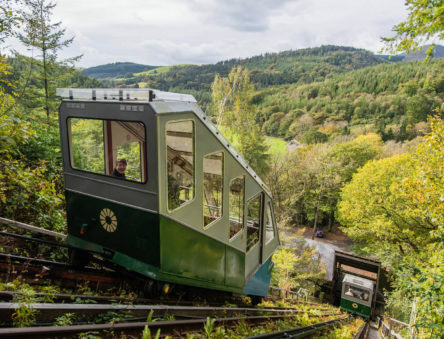 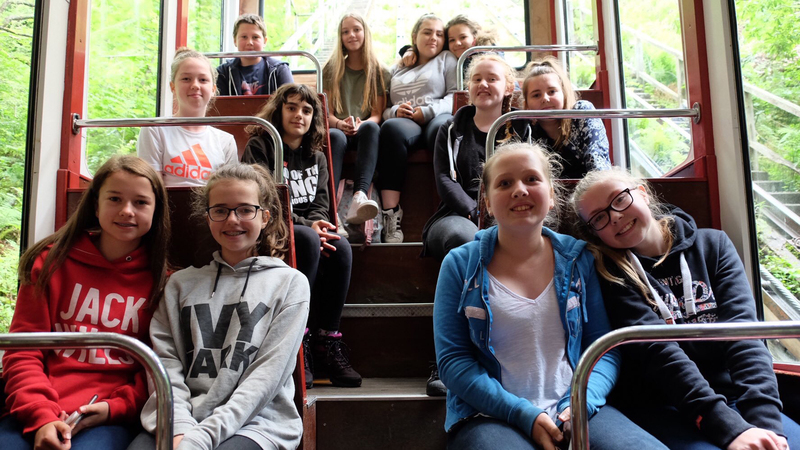 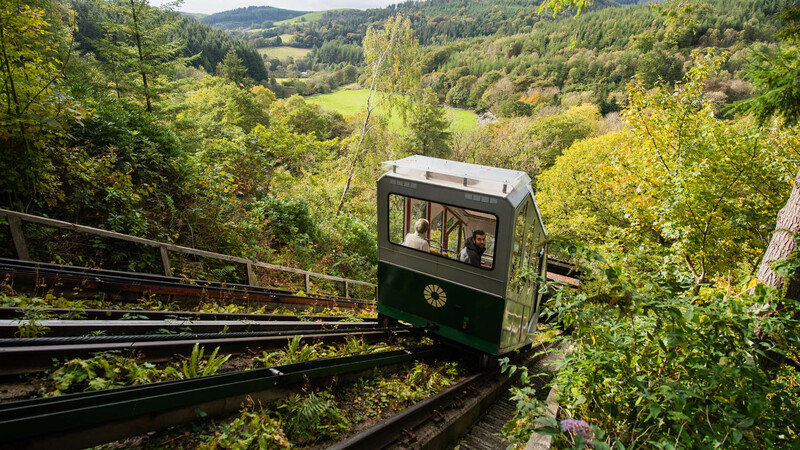 Arrive in style on our water-balanced funicular railway! 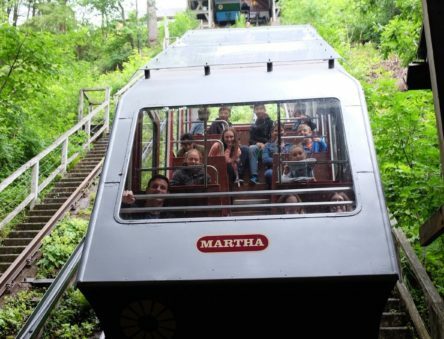 Our water-balanced railway is one of the steepest railways in the world with a gradient of 35°. 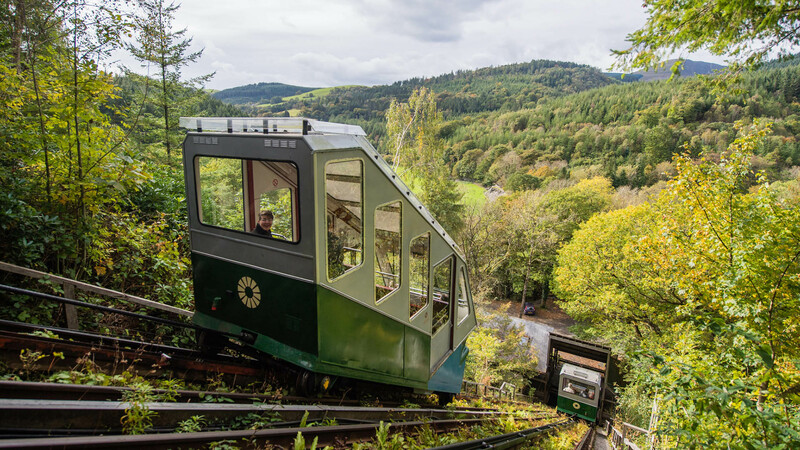 Simply park in the bottom car park, pay your entry fee, follow the instructions to board, and then relax and take in the glorious view as you slowly and gently ascend. 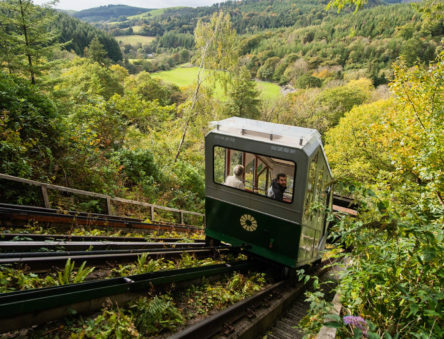 Note: The cliff railway only operates from Easter through to the end of October. 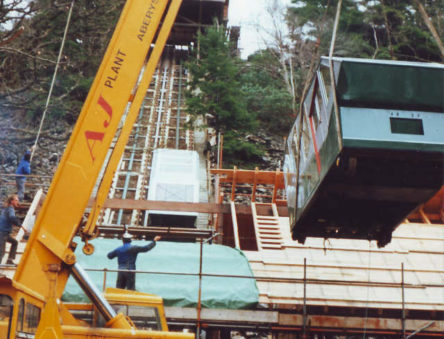 The two carriages are linked together with a steel cable. 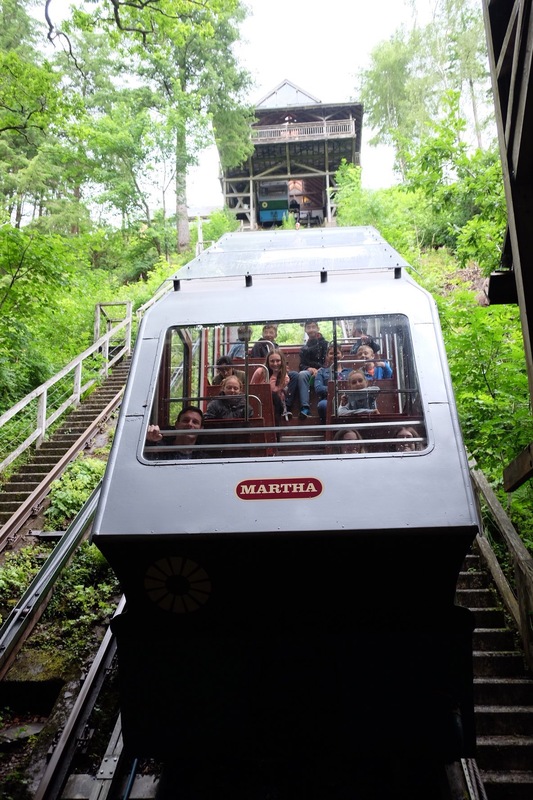 When you’re ready to go, a tank on the uppermost carriages fills with water stored in our reservoir, while the tank on the lower cabin tank is emptied. 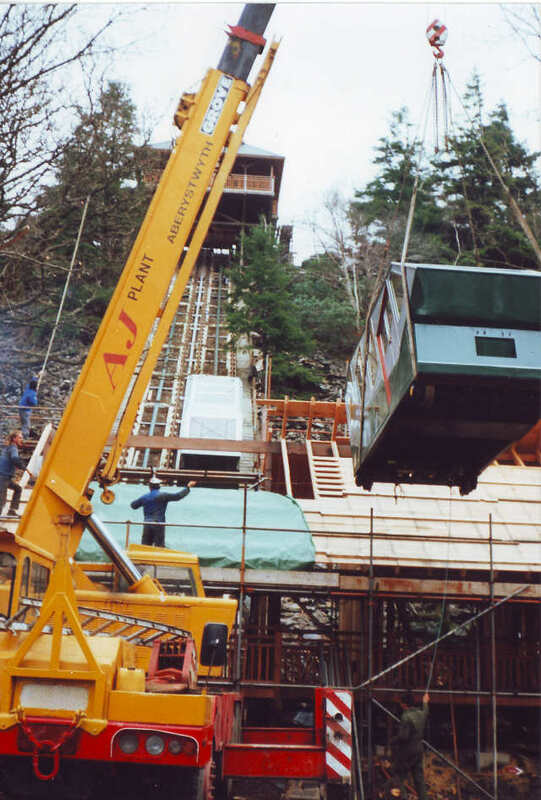 Once the uppermost carriage is heavy enough to pull the bottom carriage up, the brakes are released and gravity does the rest.